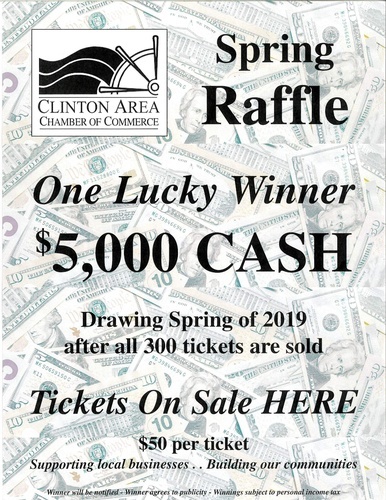 $5,000 CASH to One Lucky Winner! Winner will be notified by phone or email. Winner agrees to publicity. Winnings are subject to personal income tax. and at various locations in the area. Tickets can be purchased by credit card through this website by clicking on "Register Now"
Drawing will be held after all 300 tickets are sold.